Replace your broken or missing Fuel Cap with this OEM Mitsubishi Replacement Set. Email questions before ordering. 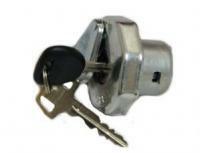 We have Fuel Cap & Key Set for all vehicles.